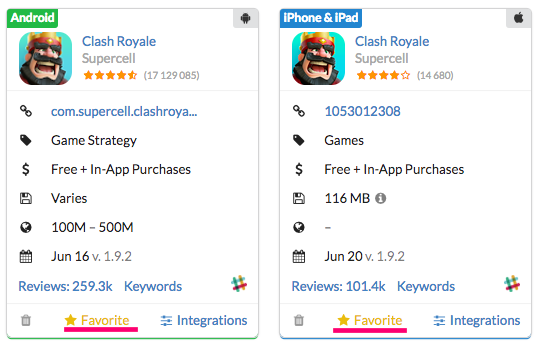 AppFollow has a web- and email-dashboard* for apps marked as Favorite. 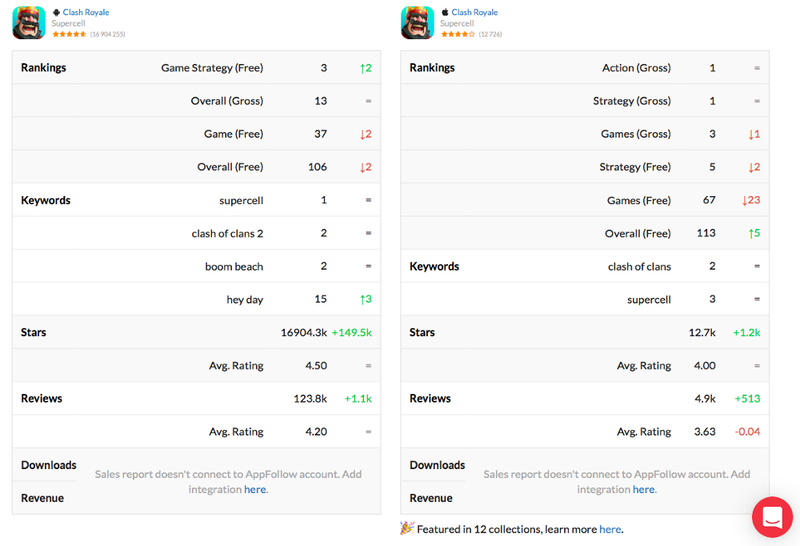 It is a simple and convenient way to track favorite apps key metrics as well as compare them for any time period and in different countries. How do you make app Favorite? After you make an app Favorite, first data is collected in the Dashboard from 30 minutes up to 2 hours. Sales report data (Downloads and Revenue) is collected up to 2 days for the first time. 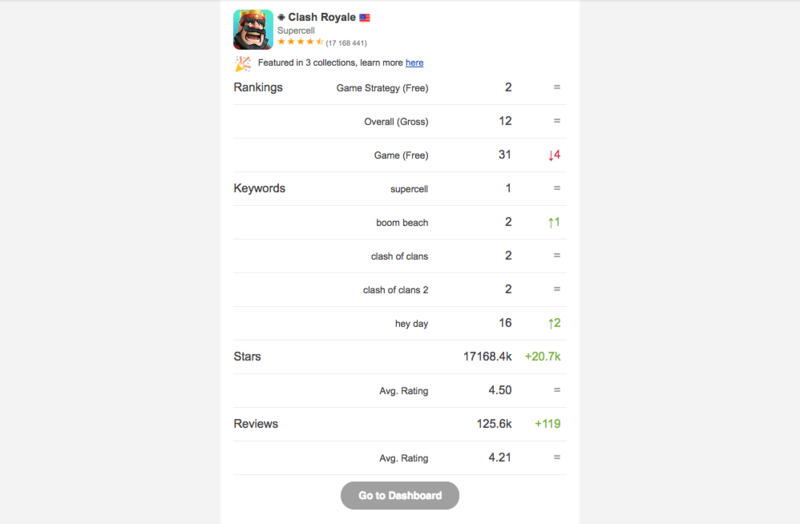 In our example we can see that Clash Royale Android earned 2 places in Game Strategy ranking, had changes in search positions by keywords and got over 1000 new reviews. All the data is updated 4 times per day. 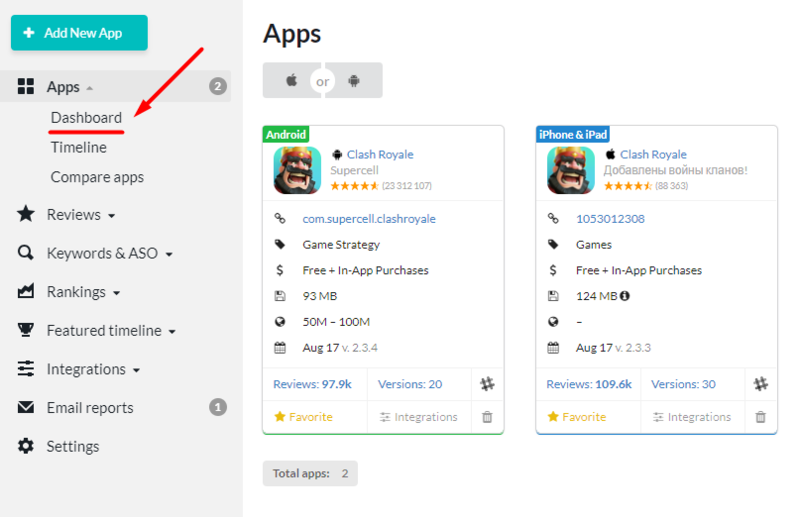 If you set up integrations with stores you'll get updated information for App Store Connect apps every hour and for Google Play Console apps every 5 minutes. You're good to go now! If you'd like to receive email reports, you can easily set it up.